Can we trust our intuitive judgments of right and wrong? Are moral judgements objective? What reason do we have to do what is right and avoid doing what is wrong? 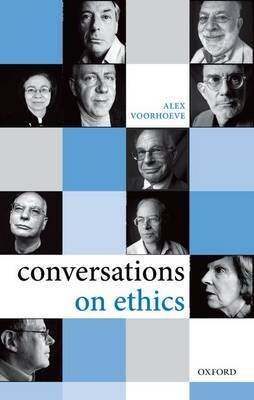 In Conversations on Ethics, Alex Voorhoeve elicits answers to these questions from eleven outstanding philosophers and social scientists: Ken Binmore Philippa Foot Harry Frankfurt Allan Gibbard Daniel Kahneman Frances Kamm Alasdair MacIntyre T. M. Scanlon Peter Singer David Velleman Bernard Williams The exchanges are direct, open, and sharp, and give a clear account of these thinkers' core ideas about ethics. They also provide unique insights into their intellectual development - how they became interested in ethics, and how they conceived the ideas for which they became famous. Conversations on Ethics will engage anyone interested in moral philosophy.